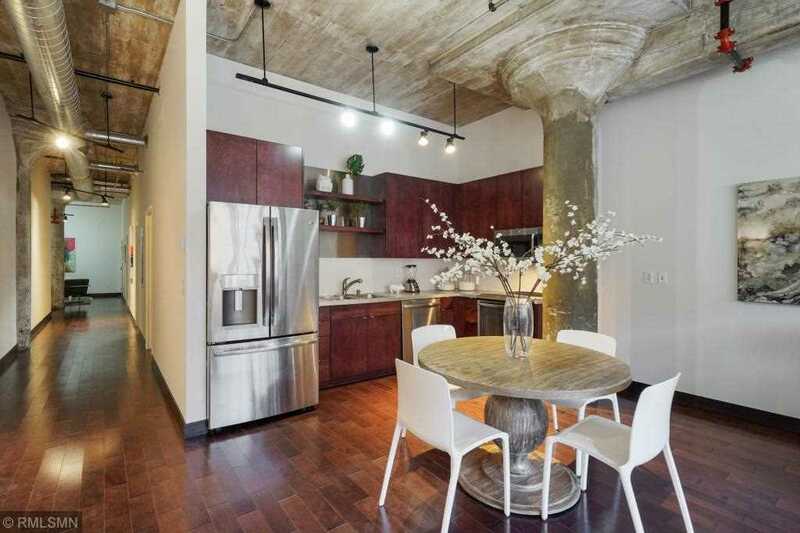 Harvester lofts, one of the most desirable buildings in the popular North Loop neighborhood creates the ultimate urban lifestyle with combining both history and modern architecture. This condo, a 2 bed, 2 bath plus den offers an open layout with large areas. 12 foot ceilings, floor to ceiling glass, designer finishes, fresh paint and a large balcony expanding the width of the living room. Award winning restaurants, shopping and Target Field all within blocks. I was searching for a Property and found this listing (MLS #5192337). I would like to schedule a showing for 618 Washington Avenue N #405 Minneapolis, MN 55401. Thank you! I was searching for a Property and found this listing (MLS #5192337). Please send me more information regarding 618 Washington Avenue N #405 Minneapolis, MN 55401. Thank you! MLS® 5192337: This property at 618 Washington Avenue N #405, Minneapolis, MN 55401 is located in the North Loop subdivision and is listed for $549,900. MLS® 5192337 has been on the market for 22 days.